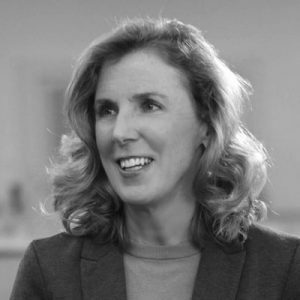 The daughter of a Philadelphia police officer and a restaurant hostess, Katie McGinty has spent her career working to protect the environment while creating new opportunities for Pennsylvania’s working families. She is a leader in innovative clean energy, a no-nonsense policy maker who knows how to get the job done, and the proud mom of Tara, Alana, and Allie. Katie earned a fellowship to go to Capitol Hill to work for Senator Al Gore. Senator Gore asked her to stay on as his top environmental advisor. She agreed, and put her science background to good use working with Republicans and Democrats alike to strengthen the Clean Air Act and take the first steps to address climate change. In 1993, President Bill Clinton appointed Katie to be his top environmental aide and later to chair the White House Council on Environmental Quality, the first woman ever to hold this position. In this capacity, Katie helped deliver major gains on renewable energy and clean air and water — all the while proving that a safe environment and a strong economy can go hand-in-hand. Later, Katie brought that same approach to the helm of the Pennsylvania Department of Environmental Protection with Governor Ed Rendell, leading a staff of 3,000 and managing an $800 million budget. Katie led the charge to attract clean energy companies to Pennsylvania – resulting in over a billion dollars in new investments and 3,000 new jobs. Katie has been a leader of several companies, continuing her work to protect the environment and promote clean energy. As Chief of Staff to Governor Tom Wolf, she led the charge to expand Medicaid to over 600,000 Pennsylvanians. Throughout her career, Katie has never lost sight of her working family roots or her love for the Keystone State. Now, she’s running to be Pennsylvania’s first woman senator to rebuild the promise of the American Dream for working families like her own.